Daniel Stuart was not the stereotypical young man seeking a grand adventure in the gold fields; he was twenty-six years old, a college graduate, an ordained Methodist minister, with a two-hundred-acre farm, a pregnant wife, and two children when in 1851 he decided to leave his family in Orneville, Piscataquis County, Maine to seek his fortune in California. Stuart sailed from New England down the Atlantic coast and through the Caribbean Sea. The ship wrecked on the Gulf coast of Mexico, but Daniel survived, crossed to Acapulco on the Pacific coast, secured ship passage north to San Francisco, and proceeded by steamboat through the Delta to the Mother Lode. Three years of steadfast mining yielded enough profit for Stuart to return to Maine. Whether it was based on his observations in the early 1850s or on information he gathered later, Daniel and Lydia made another bold decision and decided to move their family to the California Delta. In 1860, Daniel and Lydia Stuart and their five children shipped out to California. There was no shipwreck this time and the family crossed the isthmus of Panama without incident. 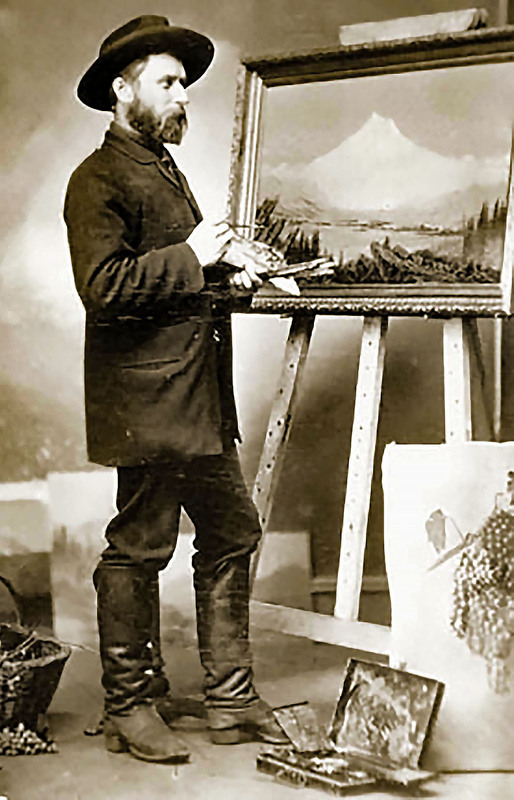 Eight-year-old James Everett, the Stuarts’ second son, was a budding artist and made sketches that would later become paintings when he was a prolific plein air painter of California, the Pacific Northwest, and the Rockies (1880s to 1930s). The only snag on the journey was that patriarch Daniel Stuart contracted malaria in the swampy terrain and overdosed on quinine, leaving him hard of hearing for the remainder of his life. Malaria was a concern in the wetlands of the California Delta, too. Fear of the disease in the floodplains of the Mississippi River in Louisiana, Mississippi, and Arkansas had prompted Congress to pass the first Swamp Land Act in 1849, followed by a broader law in 1850 called the Swamp and Overflowed Lands Act. Under that law, the U.S. granted to individual states those lands that qualified as swampland—lands “unfit for cultivation”—provided that the lands were “reclaimed” with levees and drainage systems and converted to productive and healthy uses. The rich habitats we now call wetlands were in the 1800s viewed as disease-ridden obstacles to cultivation, settlement, civilization, and Manifest Destiny. In the six years Daniel Stuart was back on his farm in central Maine, the federal government deeded to the new State of California a half million acres of Sacramento-San Joaquin Delta land. In 1855, the state passed its first act for selling this land and a land office was established in 1858. The California Legislature created a State Board of Swamp Land Commissioners to facilitate the establishment of reclamation districts to build levees; the third such district—after the American River and the Sacramento Basin—was for Grand Island in the Delta. Grand Island is where Daniel settled his family—on the Sacramento River, halfway between San Francisco and Sacramento City. Grand Island is defined by Steamboat Slough and the main channel of the Sacramento River and the lower end of the island is across the river from the town of Rio Vista. When the Stuarts arrived in 1860, Rio Vista was a thriving little community near Cache Slough. In 1858, Rio Vista had become a stop on the first daily steamboat service between Sacramento City and San Francisco and it was a center for commercial salmon fishing and canning. The Stuart farm likely resupplied at the town of Walnut Grove, which occupied both sides of the Sacramento River, including the east bank of Grand Island, less than ten miles from their farm. Walnut Grove was established in 1850 on land acquired via the federal Swamp Land Act by blacksmith John Sharp; it had a ferry connecting the bisected portions of the town and a good wharf. It quickly became a supply center for Grand, Andrus, and Tyler Islands. In 1861 members of the San Joaquin Agricultural Society boated around the muddy sloughs of the Delta, noting reclamation efforts, diking, grazing livestock, hay making, grain crops and orchards. They passed by camps of Chinese fishermen on the banks who were netting perch, trout, salmon, and “slough-fish” to salt and send to the gold mines. They met workers stripping the bark off trees. It would be shipped to San Francisco for use in tanning. Seeing the flags of levee builders, the Agricultural Society boaters happily commented on the “improvement” of thousands of acres of tule lands. In those times, life was always challenging—the Stuart’s second child, twelve-year-old Lydia Ann (named after her mother) died suddenly after arriving in California—but the other family members were healthy and the Stuart family farm was established. 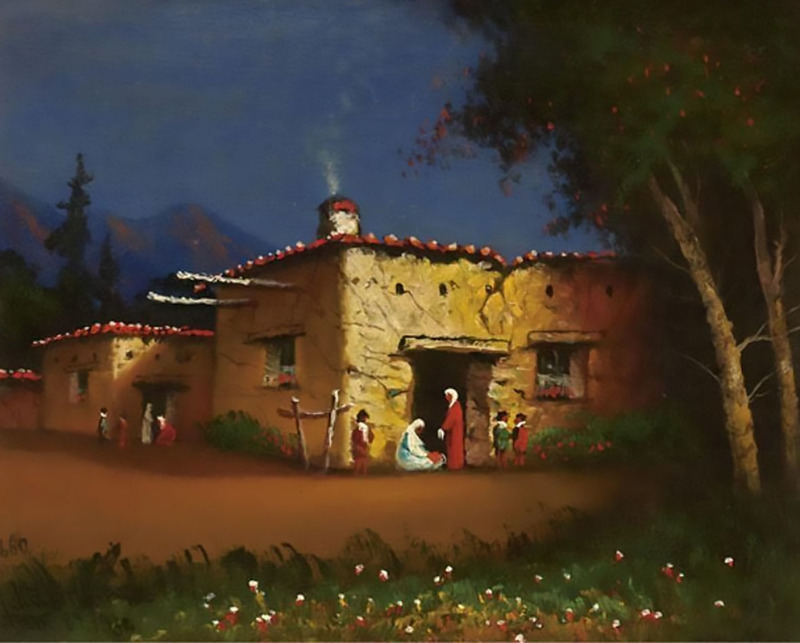 The family soon had a snug house, sturdy livestock, and the rich soil produced good crops of wheat and barley, plus some vegetables, potatoes, and beans. There had been little rain in 1860, but on Grand Island the crops hadn’t suffered much. The Lord had blessed Reverend Stuart and his young family. Then came the Great Flood of 1861-62—a flood of biblical proportions…. As is typical in California, rains began in November of 1861, then intensified in December. By Christmas, flooding was widespread. The driver on the Sonora to Stockton stage reported that the Copperopolis mines had been closed because their shafts were flooded; it was feared that the bridges on the Mariposa Road would be swept away. After a week respite, warm “atmospheric river” downpours returned in early January, melting the heavy Sierra snowpack. The resulting flooding peaked in late January 1862. It again turned cold and even snowed in the Central Valley and the coastal mountains on January 27th and 29th. 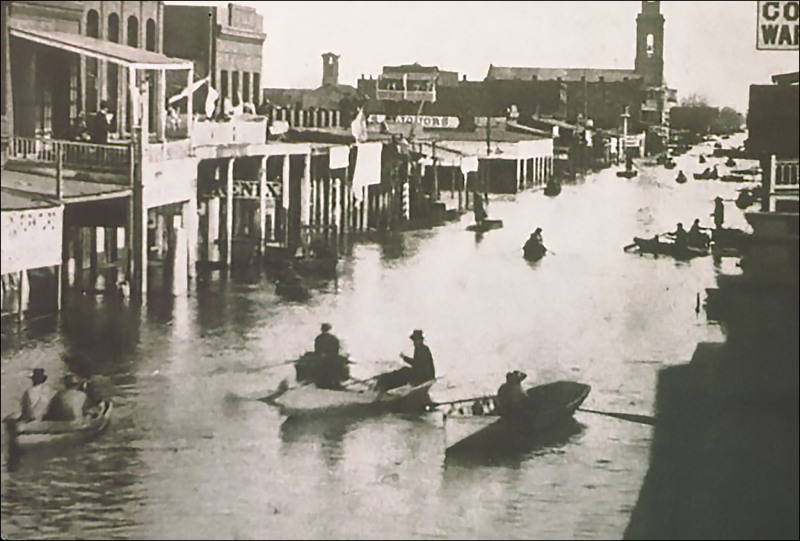 Sacramento City flooded when American River levees breached, allowing floodwaters to flow into east Sacramento, trapped by the levees along the Sacramento River. The lower levees were cut, but the city remained flooded for three months and the State Legislature moved its session to San Francisco until the floodwater subsided. The severity of the flooding was exacerbated by riverways choked with mining debris from Sierra Nevada hydraulic mining. The Calaveras River and Mormon Slough overflowed to inundate Stockton. Mokelumne City, at the junction of the Cosumnes and Mokelumne Rivers, was swept away. The town of Woodbridge was inundated, its namesake bridge lost, as was the bridge and mill at Knight’s Ferry on the Stanislaus River. In early February, Brewer noted: “The ‘lake’ [is]…sixty miles wide, from the mountains on one side to the hills on the other. [Steamboats] ran back over the ranches fourteen miles from the river, carrying stock, etc., to the hills. Nearly every house and farm over this immense region is gone.” Sacramento Valley telegraph poles disappeared under thirty feet of floodwater. Doc Stuart returned to the banks of Steamboat Slough on the northern tip of Grand Island in 1883 and lived there until his death fifty years later. Summers he operated a High Sierra hunting/packing camp on the upper Stanislaus River; in winters he was a market hunter of Delta waterfowl, later more of a hunting guide. Preeminent California historian Rockwell Hunt married Nancy Stuart and in his book Boyhood Days of “Mr. 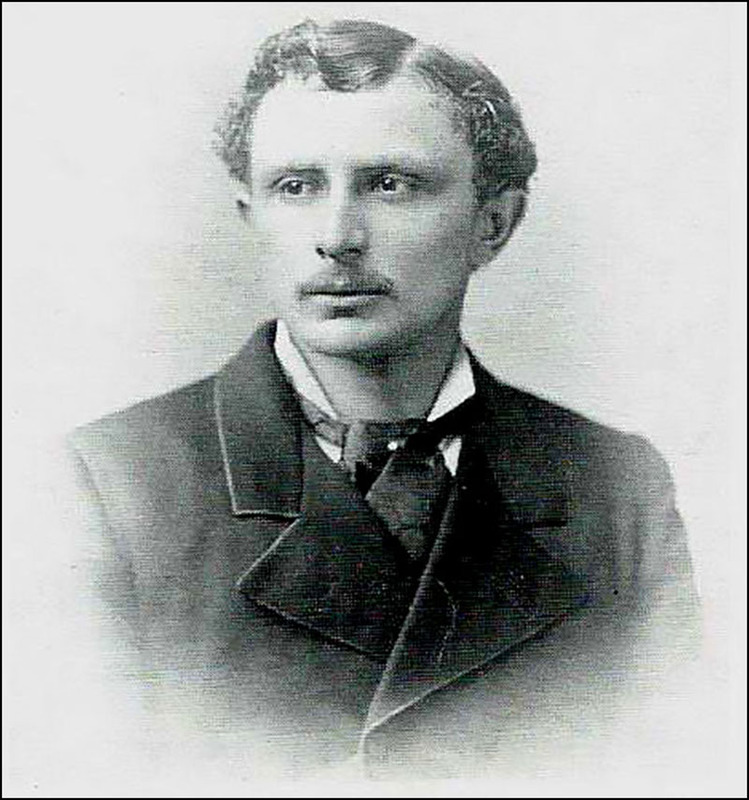 California” wrote about his “brother-in-law, Arthur (“Doc”) Stuart, [who] probably shot more wild geese in California than any other man. 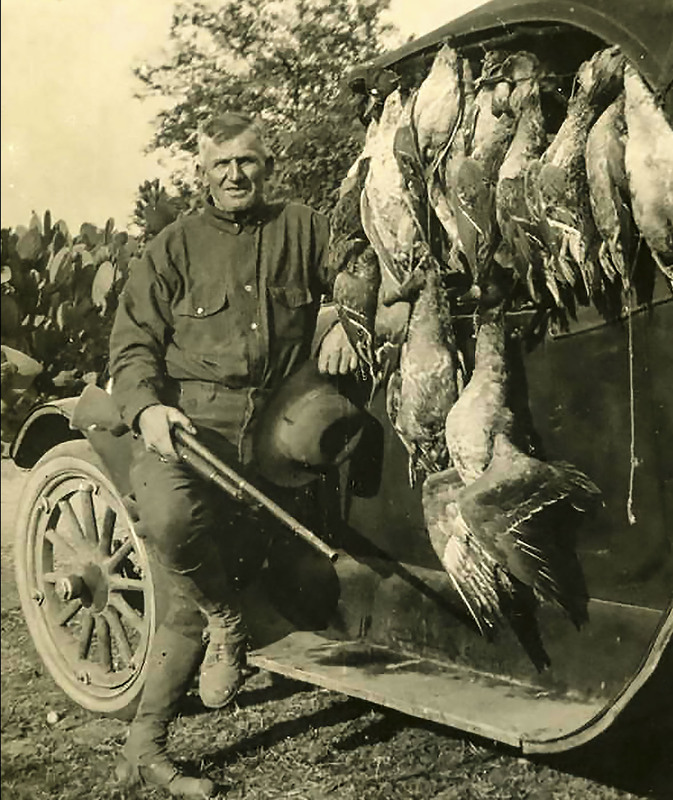 Sportsmen of San Francisco and Sacramento [would] shoot geese with him at $10 to $12 per day, with everything provided for them. I remember he had kept alive twenty or more geese whose wings had been broken, but were all right otherwise—they, of course could not fly. He kept them penned up on his [Grand Island] farm, to be used as live decoys, surrounded by light “chicken wire” fence. In other ways—such as calls and whistles—he could draw flocks of geese within range of the sportsmen, who were crouched in pits he had dug. In 1874, Doc’s older brother, A.V., and his father bought land on the Stanislaus River near the budding town of Oakdale, where the Stockton and Visalia Railroad connected with the Copperopolis Line. The Stuart Colony, as it was known, initially dry-farmed wheat and barley. The Stuarts diversified their farming operations and planted peaches, apricots, prunes, and Muscat and Tokay grapes. They built Stanislaus County’s first dehydrating shed and fruit cannery, shipping much canned fruit to England. They planted one of the first central California almond orchards on the bottomlands of the Stanislaus River. Joseph established a nursery in 1888 and developed many varieties of fruit and nut trees that were widely planted in the northern San Joaquin Valley and the Delta area. Patriarch Daniel Stuart in 1891 founded the Free Methodist Church of Oakdale. 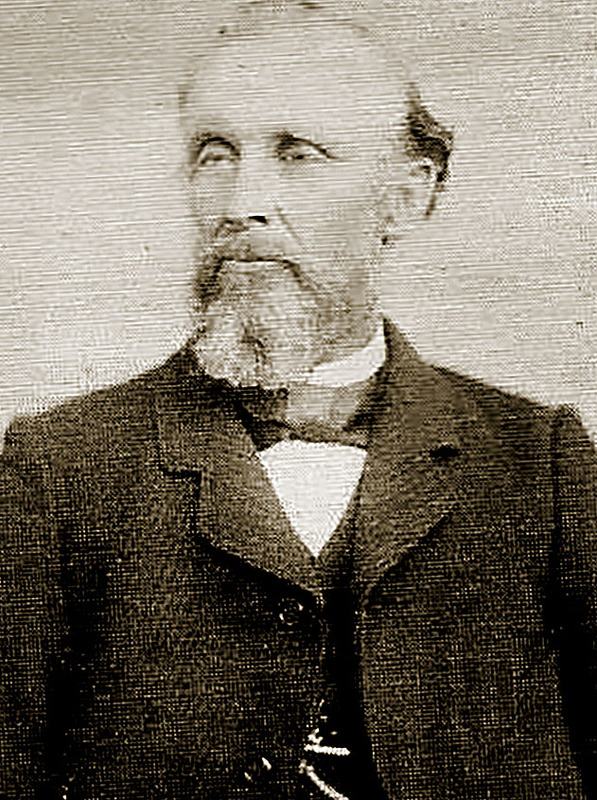 James Everett (J.E.) Stuart at his easel. In 1904, A.V. and Joseph purchased three hundred and twenty acres near Ripon as the South San Joaquin Irrigation District was being organized. A.V. focused on olives and established a cannery at the Weston stop on the Southern Pacific Railroad line northwest of Ripon (still marked by the landmark water tower and row of palm trees). Joseph focused on the tree nursery and in 1912 incorporated the Ripon Nursery and Improvement Company, which moved its headquarters to French Camp in 1916 (where it operated as Stuart’s Nursery until a few years ago). After the turn of the twentieth century, improved dredgers and better engineering led to sturdy levees around the islands in the Delta. Farm equipment—especially Holt Caterpillar tractors from Stockton and Best tracklayers from San Leandro—and immigrant farmers and laborers helped turn the peat soils of the Delta into remarkably productive farmland. Irrigation allowed specialty farming districts to flourish on the alluvial plains on the east periphery of the Delta and rice fields sparkled on the overflowed lands of the Sacramento Valley. These quintessential California cornucopias owe a debt to the first agricultural district, the Sacramento-San Joaquin Delta, and to the pioneer farmers such as Daniel Stuart that saw its potential and risked everything to develop it. Painting by J.E. Stuart, based on sketches he made on the trip to California in 1860. David Stuart recently retired as the executive director of the San Joaquin County Historical Society. Previously, he directed the Sacramento History Museum, the Sacramento/Powerhouse Science Center, and museums in Ventura. His family settled in the Delta in 1860. Thank you for all the history you presented in your article. Memories of names from the past float thru my mind…… I remember the paintings at home and Aunt Elsie proclaiming him as a great artist/painter. Back then we were more worried about cupcakes and gram crackers with frosting filling. Swimming in Uncle Wes pool was such a treat. Strawberry pickens remain a prime memory !! Ice cream churnings, Foxy, dove shoots…….. Thanks for rekindling so many dear memories of our growing up together… 2 families as one. I so miss the 4 of them and the “carefree” times we spent growing up. Oh…least we not forget the stick carefully placed hanging over the refrigerator…..gulp!!! So true, cousin! Great memories! Thank you so much for sharing this with us. I really enjoyed the history! How exciting to know the background of what you fore Fathers went thru. A great recounting of your family’s and the area’s history…thank you. My folks planted 20 acres of almonds (purchased from Stuart’s Nursery) at the end of Arbor (now Arboreal) Way in 1959. It was after high school that I realized that there was a familial connection between you and the nursery. Thanks, Flo. I remember Arbor Way well. Laura Brum was my brother’s high school girlfriend, Evelyn was my elementary band teaching assistant, and Joe and Helen were friends of my parents. And the Eisinga’s and I got to know you in high school. So glad you enjoyed the story. My paternal grandmother was Grace Mildred Hunt Scribner. Her father was Mark Twain Hunt & his brother was Rockwell Dennis Hunt. Grandma used to tell us many stories about “Uncle Rock”. There were 5 Hunt brothers & they were all born on the Hunt Dairy Ranch in Freeport, CA. I’ve read the book by Uncle Rock “Boyhood Days of Mr. California”. Thanks, Marsha. I came a crossed that book at a garage sale and love it. I also used his description of his boyhood memories of the great steamboats in an audio message on the Delta Water Path at the San Joaquin County Historical Museum. Enjoyed the history lesson. Thank you!! 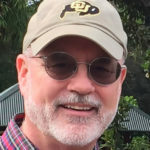 Great article David Stuart. Thank you!